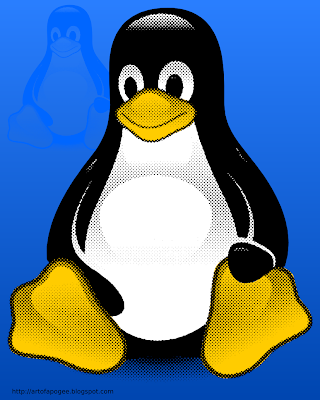 I create this simple tux logo in vector using Inkscape. The idea is to simplify and reduce the color of the original image. DIY t-shirt geeks can simply grab this logo and make the silkscreen.